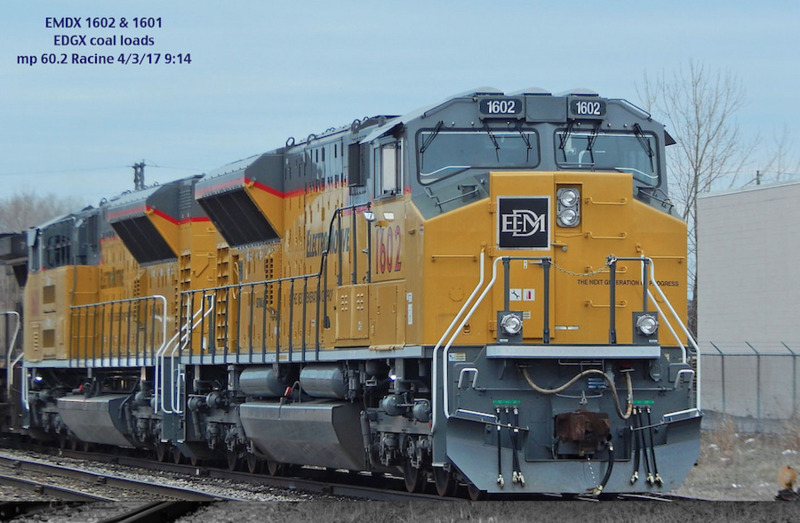 GM92 SD89MAC 996135-1 6/00 Test bed loco with 265H engine rated at 4500 h.p. 434 SD40X 29025 7/64 Built with standard radiator; Sold to GM&O #950 -> ICG 6071 -> ICRR 6071 -> donated by Canadian National to Monticello Railway Museum (Monticello, IL). 511 & 512 EA(Boxcab) 511 & 512 8/35 . 852 GP7 10852 10/49 Sold to ? 4570? SD45X 34125 6/70 . 6535 & 6536 SW900 24007 & 24008 6/57 6535 to Waterloo RR 4; 6536 to ? 7037 GM6W 24730 2/59 Sold to ? 9502 & 9503 SD60MAC 906127-1 & -2 6/92 .